I was very lucky to be able to travel during my years living in the Netherlands, which means I’ve seen some really neat birds. Even though my interest in birds was not too great during most of those years, my keen enthusiasm for travel was fueled by a desire to explore the unknown, so new wildlife sightings were routinely noted, especially later in the decade. It was hard to come up with this list of my favorite birds from the last 10 (really 6) years. I kept the list short at 10 – if I compiled the list next week I might pick 10 different birds. These are in no particular order. 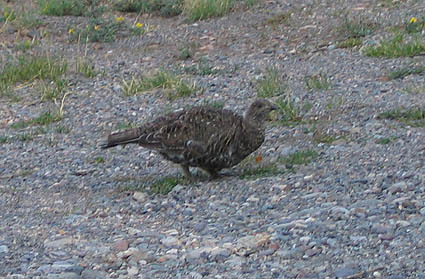 When I was a kid we spent a few summer holidays in Colorado, and I remember we would always look for ptarmigans. I don’t think we ever saw one. In April 2004 Arthur and I visited my parents and we all took a road trip to Colorado. At Black Canyon of the Gunnison National Park we finally saw one. We weren’t yet ‘birders’ but I remember this bird made an impression on Arthur and me. 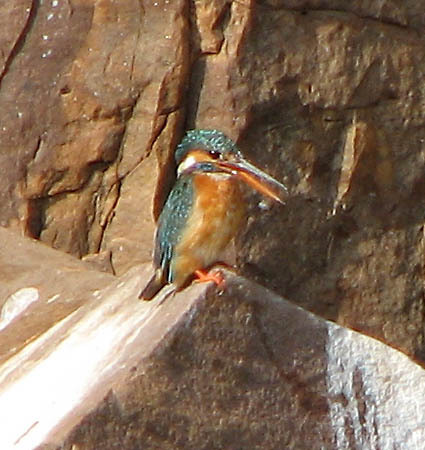 We saw our first Kingfisher in the Netherlands on 25 August, 2007, during the Vogelfestival (Dutch Bird Fair). It was also Arthur’s birthday, and earlier in the day he had said he wanted to finally see a Kingfisher. His wish came true when we arrived at a bird hide in Oostvaarderplassen and fellow birders quietly pointed out a hunting pair to us. We used to take walks along the pier at IJmuiden, and spot shorebirds like Ruddy Turnstone, Purple Sandpiper, and Eurasian Oystercatchers. 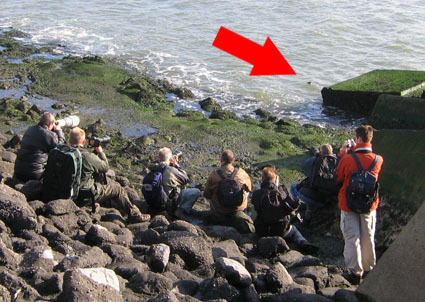 One day in November 2006, we knew from looking at Waarneming.nl that a Little Auk had been seen there. The bird was easy to spot, because it had its own paparazzi. This was the first time I had seen twitchers honing in on a special bird. I loved it! The bird was pretty great too. A real cutie. This bird makes the list mostly because of its cool name. 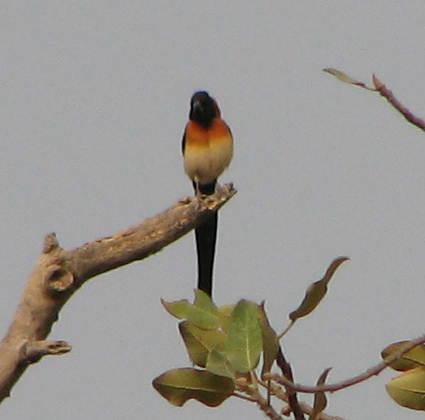 This is one of many neat birds we saw in the Gambia in January 2007. On our guided birding trip we were joined by three hard-core Finnish birders who knew their Gambian birds backwards and forwards. We were so unprepared, we didn’t even know what kind of bird to look for when the guide called out “Green-backed Eremomela” or “Bronze Mannikin.” I knew what to look for when this bird was called out, though, since the name made an impression on me when I was thumbing through our Gambian bird guide. I was so excited that we got to see a male with the long tail feathers, since it was past breeding season and no guarantee. We saw a lot of awesome birds in the Gambia, many of which were pointed out by our guide during our short birding tour. Our favorite birds, however, were the ones we found on our own. 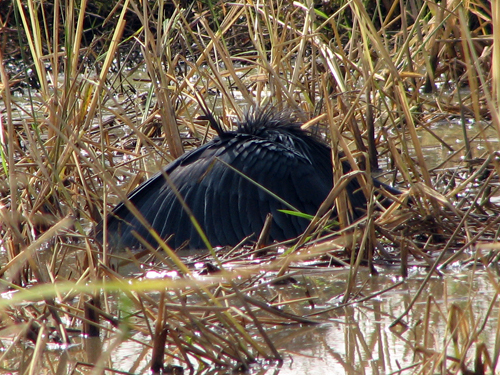 We watched a Black Heron hunting in the Kotu rice fields close to the coastal resort area. They hunt by using their wings to shield out the sun. Fish are attracted to the shade which the heron then hunts. Here’s a clip from Life of Birds showing the bird in action. This is another Gambian bird, and another one we saw with the guide. This bird is the target species for the Gambia, and it was the first time we went looking for a specialty like this. We got great looks of this really beautiful bird. The reaction of the Finns was priceless, too. 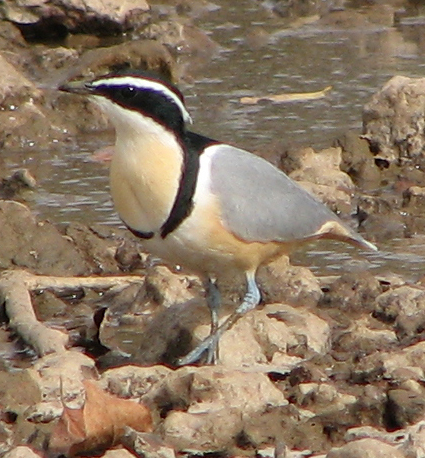 Here’s another bird with Egypt in the name that we didn’t see in Egypt. When we visited India in spring 2006, we traveled independently and stuck mostly to the popular backpacker sites like Jaipur, Agra and Delhi. One kind of off-beat place we visited was Kota, on the Chambal River. 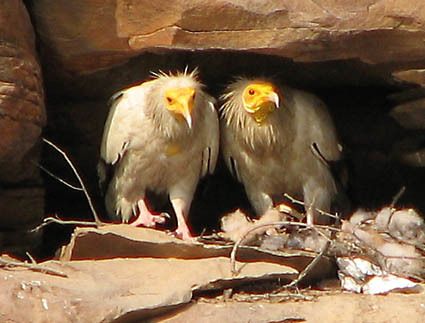 We took a cruise with a boatman in his simple motorboat and were pretty stoked to see a pair of Egyptian Vultures in a scrape on the rocky wall of the river. This was one of the coolest places I’ve seen a bird, ever. We were skunked on our target species, gharial (crocodile-like reptile), but this sighting made up for it. Another bird I always loved to see in the Netherlands, where they were summer breeders. In late summer we could see them fairly reliably at our favorite local patch, Starrevaart. 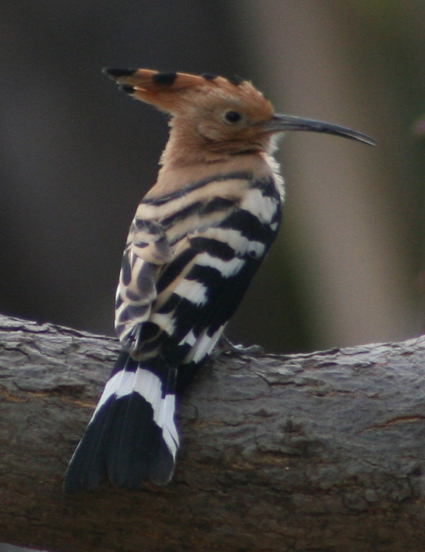 Hoopoes are crazy-looking birds and I just love them. We’re lucky enough to have seen them in the Gambia, India, and in Spain, where they visited the neighboring woods of the house we rented for a week in Andalusia. I think we saw our first Hoopoe back in 2003 in Egypt at the temple of Karnak. 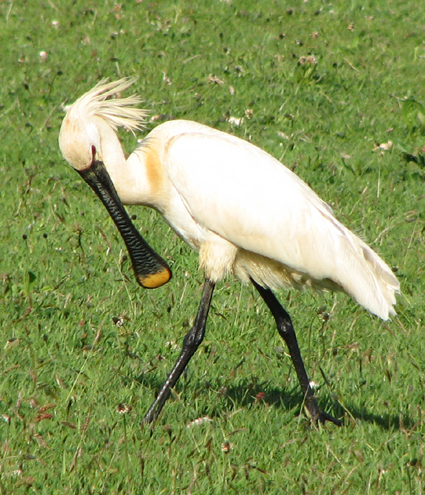 We had no idea what the wild-looking bird was, but later I recognized it from our European field guide. I have two fun memories of this species. When we spent a week in Andalusia we stayed in a house far from almost everything, and we would drive along a major highway almost every day. 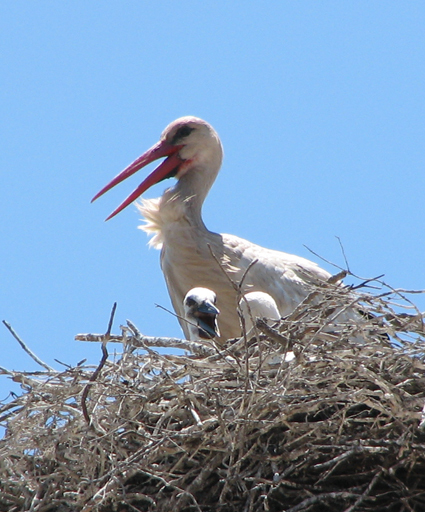 On huge utility poles along the highway there were giant stork nests, all active. Some poles had several nests each. It was so neat. The other memory I have is seeing thousands and thousands of migrating storks coming down to the Sinai Peninsula when we went birding at a water treatment facility in Sharm El Sheikh. They just kept coming and coming, it was incredible. Wow, I can’t believe I only picked one North American bird! We’ve been living here for just over a year and the last months birding here have been a blast. We’ve just barely started to scratch the surface of local birding and I’m looking forward to the next decade of birding which I expect will be primarily in the USA. This entry was posted in Life List, Travel. Bookmark the permalink.